Based in Greensburg, Massaro Law LLC is proud to serve individuals, families and businesses throughout the neighboring areas of Pennsylvania. We combine the know-how of a large firm with the personal, one-on-one attention that can only be found in a small firm. In every case, our goal is to reduce your stress and protect your interests. We also handle criminal law and DUI defense, estate planning and business law in Pennsylvania. Our founding attorney, Joseph Massaro, has been practicing law since 1998. In 2015 and 2016, he was honored with the Readers Choice Bronze Award from the Tribune-Review. Count on him to provide the detailed legal guidance and strong advocacy you require. 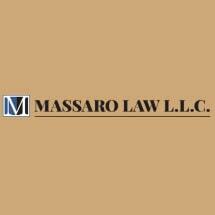 Contact Massaro Law, LLC, to set up an initial consultation with our lawyer about your legal concerns today. The meeting is absolutely free for all personal injury cases.